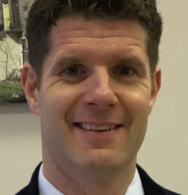 Michael Anderson is a Notary Public and Solicitor at Purdie & Co, Solicitors & Estate Agents. The office is based at 69 Haymarket Terrace, Edinburgh, EH12 5HD. Michael can assist with your requirements for Notary Public work. Often available at short notice. Please contact us for details of the likely charges and to set up an appointment. Michael can also assist with advice regarding House Purchase and Sale, Wills, Executry work and Continuing and Welfare Powers of Attorney.